In view of the multiple technical glitches that plagued the Common Law Admission Test (CLAT) this year, it has now been decided that CLAT-2019 will be conducted offline. The decision was taken at the 4th meeting of the Consortium of National Law Universities, which was held on October 17 at the National Law School of India University (NLSIU), Bangalore under the Chairmanship of Prof. Faizan Mustafa, Vice-Chancellor, NALSAR, Hyderabad and the President of the Consortium. 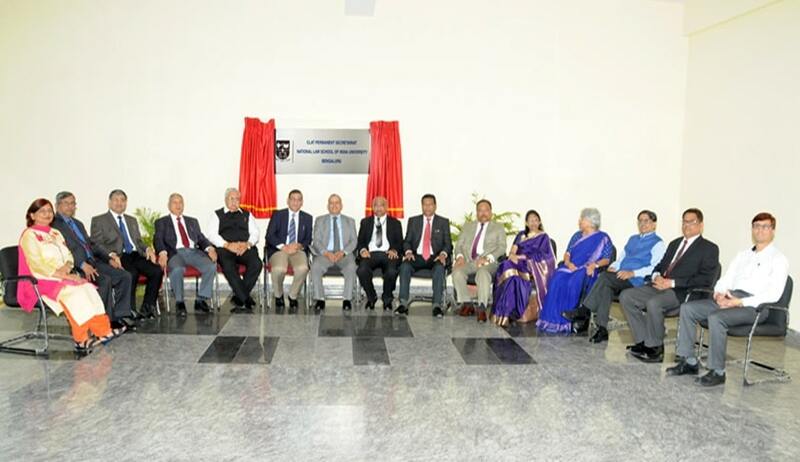 The permanent CLAT Secretariat was inaugurated by Prof. Faizan Mustafa and Prof. V. Vijayakumar who is Vice-Chancellor, NLIU, Bhopal and the Vice-President of the Consortium, in the newly constructed building of NLSIU, Bangalore in the presence of other Vice-Chancellors. Prof. Srikrishna Deva Rao, the CLAT-2019 Convenor and Vice-Chancellor, National Law University Odisha (NLUO), Cuttack joined the consortium meeting through Skype.